DDoS attacks against gamers has become a hot topic. On a day to day basis many gamers find themselves unable to play or stream games online and even if gamers themselves aren’t feeling the heat of DDoS attacks, viewers of live games are also affected when streams are taken offline. Gaming has become huge over the past 10 years. For someone who misspent his youth killing many hours of the day and night on classics such as Call of Duty 2 and Medal of Honor: Allied Assault, gaming is a topic that is close to my heart. In the last few years gaming has exploded and online streaming of live clan wars is common place. Unfortunately with this explosion comes a rise in DDoS attacks against both game players and game streamers. The majority of these DDoS attacks are for kudos and fame only, knocking off well known gamers or streamers can carry a sort of weight in underground circles. With gaming popularity increasing there are now regular competitions played for monetary prizes and with the advent of betting on gaming results becoming more widespread the cash aspect of gaming is now big business. With fame and fortune at stake, DDoSing in gaming is a growing problem and has been for the past few years. Carrying out a DDoS attack is no longer the past time of the computer genius. Even the most novice user armed with an IP Address of their target can pay to have you knocked offline. As this type of payment for DDoS has increased in popularity the prices have plummeted. Prices range anywhere between US$25 per hour to $500 per day for rental of a simple system to knock a user offline. For the majority of everyday players being taken offline due to a DDoS attack is an annoying inconvenience that can ruin your gaming enjoyment. For professional players it is more of an issue and can disrupt both paid competition and training. If you’re after making a living or even semi making a living then this is a serious issue. The major reason why you are susceptible to DDoS attacks is because your IP Address is exposed. An IP Address is a unique identifier for your internet connection. Back in the days of dial-up your IP Address would change on each connection, but with always on internet the norm these days it isn’t unusual for you to have the same IP Address for 3 months or longer. In the past DDoS attacks were generally carried out against the server of the game but with infrastructure quality increasing and methods of location obfuscation being rolled out on games such as CS:GO the main targets are now individual users. Your IP address can be exposed in a number of ways. One of the most common was a recent flaw in the Skype software. Simply by entering a Skype username nefarious users could get hold of your IP Address and from this it was then easy to pass the intended target on to a botnet operator which would flood your connection resulting in you unable to play games or stream games online. IRC is one of the oldest forms of communication on the internet and had something of a resurrection with gaming types using it to organise clan wars and also talk amongst themselves. Live streamers also often use IRC to interact with their viewers or let viewers interact with each other. Unfortunately certain older IRC servers still expose a users IP Address so if you use the same username on IRC that you do in game then you’re an easy target for being DDoSed. Gamers like to talk to each other via voice communications and systems such as Teamspeak and Mumble are popular on the PC platform. When joining a server your IP address can again be exposed, knowing who runs a server before joining it is essential if you don’t want to expose your IP address. Accepting invitations to join a random server could be a risky business if you want to limit your IP Address being exposed. There are many ways in which your IP Address can be exposed, clicking on unknown web links or joining random game servers can also leave you susceptible so being careful what you visit and where you click is essential. One of the best ways to protect yourself from a gaming DDoS attack is to use a service called a VPN or Virtual Private Network. What this does is encrypt your connection to a third party server located elsewhere and with it changes your IP Address. What this means is you can do all of the above without anyone being able to get your real IP Address, they’ll only see the IP Address of the server of the VPN provider. This allows you to use Skype, join IRC, click links and play on random servers without exposing your own IP Address. When using a VPN latency increases and so your connection will be slower, although you generally won’t notice it, gamers are always looking for an advantage and if a VPN adds 5ms on to your ping then you may find it unacceptable. For anyone public gaming it won’t really be an issue but if you’re a professional gamer or one who takes their gaming seriously, those 5ms could make all the difference. In this instance using a VPN connection always outside of gaming will stop your IP being exposed, you can then turn off the VPN when playing competitively. This means you have the benefit of protecting your IP outside of games but you also get your full connection speed inside games. All VPN providers are suitable for gaming but depending on your location depends on how suitable. For the best possible speeds you want to use a server that is close to your location. Nearly all providers offer servers in standard locations such as the United States or the UK but not all have a wide range of worldwide servers. Providers such as IPVanish, VyprVPN and HideMyAss are three that have a huge amount of servers in a wide range of worldwide locations making them suitable for nearly all users. They’re also very good providers with both IPVanish and VyprVPN being our recommendation for many purposes. 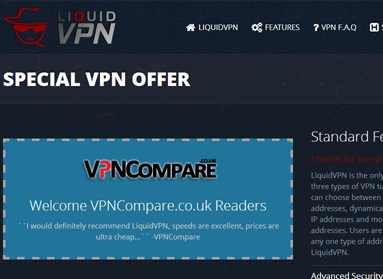 Quality providers that offer excellent speeds in the UK include both LiquidVPN and VPN.ac, although they don’t have servers in as large number of locations, they do regularly come out near the top of our monthly UK server speeds tests. No matter which provider you ultimately end up going with, if you don’t use it for your actual public gaming then they all will still hide your real IP address allowing you to game freely without the worry of being DDoSed. Online privacy a concern post Snowden shows CIGI survey.